The Russian Blue is an ancient breed of cat who form close bonds with their human family. 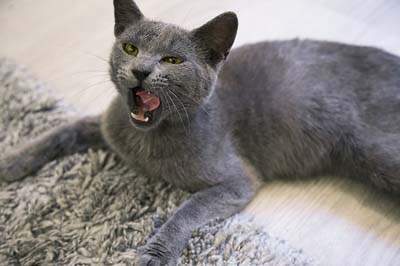 Although most of the Russian Blue’s early history is unknown, it is believed that British sailors who worked on board merchant vessels would bring blue cats to England in their travels from the shore of the White Sea, Arkhangelsk, therefore in earlier days they were called Archangel Cat. They were recognised to be an attractive cat and were exhibited in the same class as British Shorthairs. In the late 1800’s they became a recognised breed with the Governing Cat Council and were classed as the Russian Blue. The Russian is an exquisite looking cat with a plush double coat shimmering with silver highlights, their sleek appearance, and mischievous emerald green eyes. Prominent whisker pads which make the Russian blue appear to be smiling. Their nose leather and paw pads are soft and lilac in colour. Almond shaped green eyes and large ears which sit high on the head. Medium in size and well muscled. The legs are long and slender with oval paws. Long, slender legs with oval paws. A sweet, devoted and inquisitive cat, the Russian loves to follow his human family from room to room. They have a soft, quiet voice, however, they love to communicate in whichever way they can. They get along with children and make a great family pet. When purchasing a purebred cat, always choose a registered cat breeder. I prefer to choose a breeder who raises their cats underfoot, otherwise known as indoors, where they will receive plenty of attention and grow up familiar with day to day household bustle. When selecting a kitten, look for signs of good health, the eyes should be bright and free of discharge, the ears clean with no odour, and there should be no nasal discharge. The kitten should be curious, energetic and friendly. 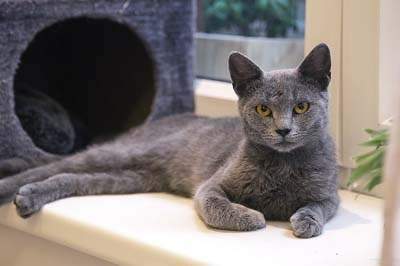 Your Russian Blue should not leave home until he is at least 12 weeks of age and had 2 of his 3 kitten vaccinations. Keep all records of discussions with the breeder and make sure guarantees are in writing. Be wary of a breeder who tries to rush you into a sale, cannot provide you with a prefix and a registration number and asks for cash. Breeders should ask you a number of questions about your home life, other household members and pets to ensure their kittens are going to the right home. This breed is fairly low-maintenance. All cats can benefit from a weekly groom to remove loose hairs. Trim the front claws every few weeks. Feed a good-quality diet, preferably not one which contains large amounts of dry food (kibble). 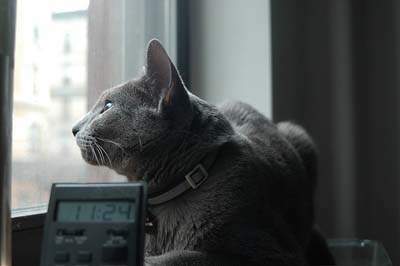 The Russian Blue is a healthy cat with no known genetic health problems.